Russia’s “Anti-Access/Area Denial strategy” (A2/AD-strategy) has caught a lot of scholarly attention during the last few years (examples here, here, here, here and here). In addition, A2/AD has been a recurring theme or a talking point among statesmen, politicians and military experts. In order to present different representations of Russia’s new strategy, drawing circles with the radius of 400 and 500 kilometers on the map has become a cottage industry within Europe and the United States (examples here, here, here, here and here). In all, Russia’s “A2/AD-strategy” has become a reality within and for the Western security community, despite the fact that Russia has not articulated such a strategy, nor has it acknowledged the existence of such a strategy after it has been “invented” and projected on Russia by Western analysts. 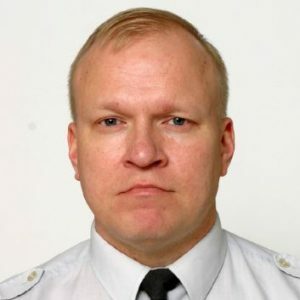 Jyri Raitasalo is a highly valued member of the editorial expert team at Defence and Intelligence Norway. Most probably Russian state leadership and the military establishment are extremely happy with the power bestowed on their armed forces and its new weapon-systems, such as the S-400 Triumf long-range air defense missile system, the SS-26 (Stone, aka “Iskander”) ballistic missile system or the K-300P Bastion coastal missile system. 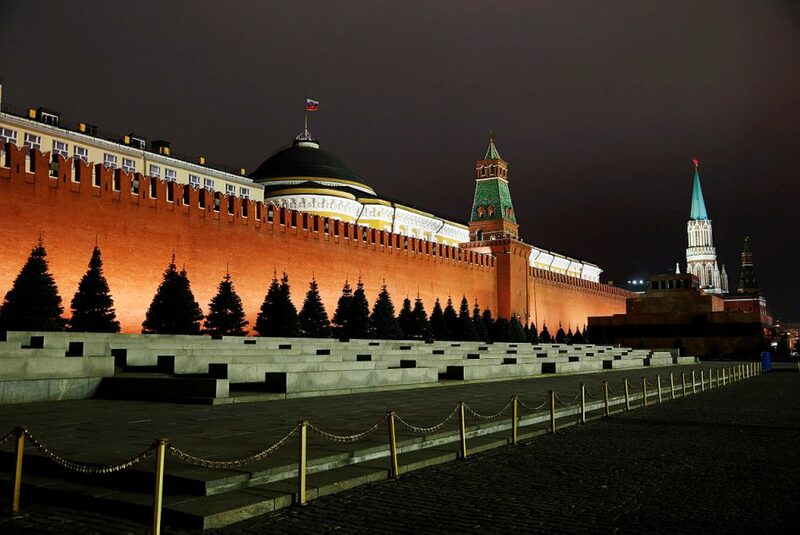 More than describe an effective Russian strategy, the Western discourse on Russia’s “A2/AD-strategy” empowers Russia. It gives Russia clout that is inflated. Worse still, this Western discourse misdefines the problem, and in so doing it facilitates overlooking potential Russian responses to Western actions “left of Bang”, or alternatively, in situations when military hostilities have already begun. Concepts are essential for organizing thought and facilitating a deeper understanding of issues that are complex in nature. Conceptual thinking is a prerequisite for, but not a guarantee of, success in the endeavor of strategy formulation, and if push goes to shove, warfighting. Concepts guiding strategy formulation and warfighting are, however, meaningful only within a culturally bounded realm where assumptions, association with other concepts and links to theories are based on a shared understanding of international politics, conflict and warfare. Russia on the one hand and Western states on the other do not share a paradigm or culture on strategy, nor do they share one on warfare. The concept of A2/AD makes perfect sense from a Western military perspective that has developed and matured for almost thirty years after the end of the Cold War. The experiences from the 1991 Gulf War, air wars over Bosnia (1995) and Kosovo (1999), the first phases of the operations to decapitate the Taliban regime in Afghanistan 2001 and the Saddam Hussein regime in Iraq 2003, and also the air war against Muammar Gaddafi’s regime in Libya 2011, all testify to the power of Western (mostly American) military superiority and airpower in the contemporary international system. “Suddenly”, China was investing heavily in its military forces in East Asia. While most Western countries were preoccupied for years with the quagmires in Afghanistan and Iraq, China was building its military forces to guarantee its great-power status, to increase its “big war” capabilities and to develop military power projection capabilities from scratch to match its rising status as a regional great power on its journey to global recognition. In doing so, China developed – among other things – long-range ballistic missiles (including so-called “carrier killers”) and long-range air-defense missile system with the help of Russia. The 2010 Quadrennial Defense Review report described the Challenge that China posed – and the doctrinal response to this challenge – Air-Sea Battle: “The Air Force and Navy together are developing a new joint air-sea battle concept for defeating adversaries across the range of military operations, including adversaries equipped with sophisticated anti-access and area denial capabilities.” So, in 2010, China did not have an “A2/AD-strategy”, but was developing military capabilities that could prevent or hinder the United States from conducting military operations freely in East Asia. Again, “suddenly”, Russia annexed the Crimean peninsula and started a military conflict – or a proxy war – in Eastern Ukraine 2014. This happened five and a half years after it had waged war against Georgia. The West was surprised, and very much unprepared for quick military escalation in Europe. After all, for years Western defense planning had seriously underestimated the possibilities for a re-emerging great power competition in Europe. When Russia made its move, Western militaries needed something to explain what had just happened – and what could happen in the near future. The post-Cold War era Western military concepts related to out-of-area military operations served little purpose when the task was to analyze a military great power in action. Luckily (read: unluckily) for the West, A2/AD had already years earlier made its debut – and seemed to provide some guidance on how to assess Russia’s actions in a situation where Western analytical concepts and theories of warfare had neglected great power competition and state-on-state warfare for so long. It was time to transfer A2/AD from the Pacific theatre to Europe. For the first time in 25 years, many Western states – and NATO as their military grouping – had to think about a potential military conflict and even war with Russia. The established Western military perspective of expeditionary air wars, military crisis management, counterinsurgency operations and counterterrorism fitted this “new” (read: old) scenario very badly. Much of the “big war” capability and mentality in Europe – and to a certain degree also in the United States – had been shed during the post-Cold War era years. Air power was one capability area where the West excelled – due to the sheer size and quality of the United States air assets. The problem was, and is still today, that Western airpower has been overused for years in operations mostly against third rate opponents. Even though Serbia had some real air defense capability in 1999, a typical post-Cold War era Western air campaign has been a logistical effort to deliver precision-guided ordnance on targets rather than fight one’s way into the operating area against an enemy capable of contesting Western air supremacy. This has been reflected in training, doctrine development and the development of military capability. At the same time as Western states were axing their capabilities in ground-based air defense, electronic warfare, long-range fires, and anti-submarine warfare to name some of today’s capability shortfalls, Russia was moving forward with its military modernization plans. SS-21 Scarab (aka “Tochka”) short-range ballistic missiles have been replaced with more capable SS-26 Stone systems. Similarly long range air defense system S-300 (different variants) have been replaced with S-400 systems. Even though it might be tempting to see these new systems as Russia’s “A2/AD-strategy” against the Western lead in terms of quality and quantity of airpower, more likely they represent a long-term view of defense planning within the Russian military establishment. The very logic of military capability development requires that older systems are maintained and upgraded at the same time as new – more capable – systems are developed and fielded. Russia is a land power. Its military is an Army-heavy fighting organization. For Russia, the so-called “A2/AD-bastions” in the Kola Peninsula, Saint Petersburg area and in Kaliningrad make as much – or more – sense from the perspective of defending the “crown jewels” of Russian military might than they do from the perspective of preventing the United States moving its forces to the defense of its allies. The Kola Peninsula hosts a significant portion of Russia’s nuclear deterrence and warfighting capability. Saint Petersburg area is important for administrative and economic reasons, but also for its military significance. Kaliningrad is a small “island” wedged between two NATO member-states. It has sea access to the Baltic Sea, which is practically an inland sea of the European Union and to a large degree an inland sea of NATO. Entering the Baltic Sea means passing through a choke point – the Danish Straits connecting the Baltic Sea to the North Sea. Defending Kaliningrad in a shooting war without recourse to nuclear weapons is almost impossible. In all of the above-mentioned cases of the so-called Russian “A2/AD-bastions” – Kola Peninsula, Saint Petersburg and Kaliningrad – Russia has a serious interest in defending these areas, as it has in boosting its deterrence against the West. Seeing these areas as the manifestation of Russia’s “A2/AD-strategy” loses sight of these aspects. A2/AD means preventing an opposing force from entering an area and limiting its freedom of action in that operational area. This definition makes sense for armed forces that need to enter an area in order to conduct operations in that area. Russian actions since 2014 have revealed several weaknesses or vulnerabilities within Western armed forces and the way that NATO member-states have prepared to carry out article five commitments in the case of military aggression in its Eastern Flank. Projecting these Western vulnerabilities on Russia’s military capability – and to conceptualize that Russia has developed its military capabilities to formulate an “A2/AD-strategy” – would be an overtly simplistic way to understand Russia and its military doctrine. Russia undoubtedly has long-range military systems that are a serious problem for Western armed forces should a war erupt. Conceptualizing these military capabilities as the incarnation of a Russian “A2/AD-strategy” however, leads one to overestimate the effectiveness of Russian military capabilities and to underestimate the operational level challenges that Russia would have waging war in Europe. Talking about a “Gerasimov doctrine” is to make the same mistake of projecting one’s own vulnerabilities and weaknesses to one’s adversary. Russia certainly is using a broad range of tools in its current standoff with the West, in many cases with malign intent. But to conceptualize practically any Russian move – whether political, economic, military or something else – as the execution of the Gerasimov doctrine, would lead to an overtly simplistic view on the motifs and logic of Russian actions. Caricatures, buzzwords or slogans rarely describe the real world very analytically. The “Gerasimov doctrine” or “Russia’s A2/AD-strategy” do not help us understand the security challenges related to the ongoing politico-military standoff between Russia and the West. Buzzwords like these may for a while be useful for signaling purposes, but in the long run they create a faulty impression that we understand the threats and challenges related to the ongoing crisis. These overtly simplistic slogans muddy the water rather than help us define the problem or craft a strategy to counter these problems. It is no wonder that the Chief of Naval Operations of the US Navy Admiral Richardson banned the use of “A2/AD” in the Navy as jargon two years ago. Unfortunately established concepts do not die easily. The amount of political capital and academic effort spent in the past often prevent us from getting rid of useless buzzwords quickly. The military profession – or the makers of statecraft – should have no need for bumper sticker concepts. It is time to throw “Russian A2/AD-strategy” on the scrapheap of history.